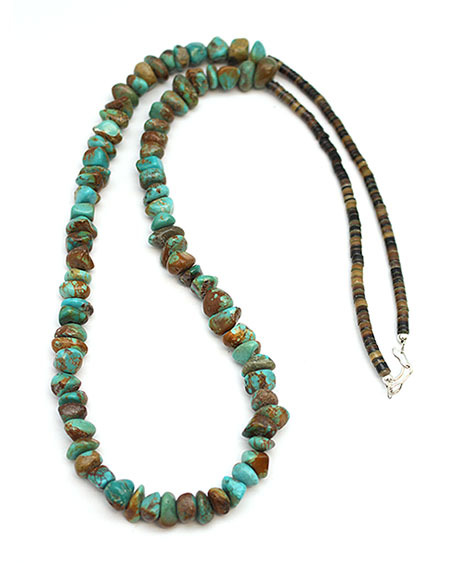 Navajo crafted single strand necklace, strung with stabilized Kingman turquoise nuggets, pen shell heishi and is finished off with a sterling silver hook that is connected to a wire heart loop. Necklace measures approximately 20" long and is strung by Navajo artisan Sandra Francisco. Size, shape and color shade of stones may vary.